There are several different types of BB pellets available on the market. Here, we at Airsoft Core wish to focus on the three main types. This will give you a good indication as to which product will be ideal for your specific needs. Plastic BBs are, without a doubt, some of the most popular BBs used in the airsoft sport. They are simple to get your hands on and they are used for just about everything. You can use them in a skirmish or if you are plinking. However, it may be worth pointing out that there are some areas which may place a restriction on whether you can use standard plastic BBs at their facility or not. Tracers: these are ‘glow in the dark’ plastic pellets which are given a quick injection of light using a special attachment for your airsoft gun. These are great for skirmishing at night. Non-Traceable pellets: these are made of a slightly darker material to make it more difficult for your opponent to spot them. The accuracy of the plastic BB is going to be dependent on the quality of the pellet that you purchase. Lower quality pellets may have residual plastic on them which can make it difficult to fire them accurately, so if you are into plinking then invest in the highest quality BBs possible. A big positive of plastic BBs is that they are so easy to buy. 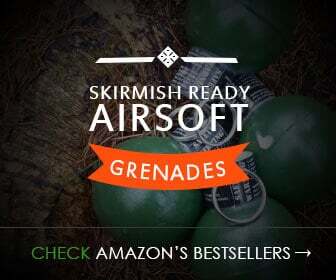 While we at AirsoftCore.com offer a variety of different pellets, not every location will. 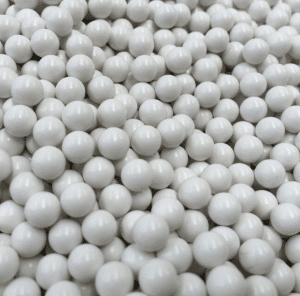 If a company offers just one type of pellet, then it is likely going to be plastic BBs. They tend to be very affordable too. A thousand or so pellets can go for just a couple of dollars each, although that is going to be dependent on the quality of product you are purchasing. A major downside of plastic BBs is that they do not biodegrade. This means that if you use them and do not sweep the environment afterwards, you are going to pumping out a lot of plastic pollution. You may think BBs are small, but if you are shooting off 2,000 every two weeks (which is about average for a skirmish), you will be putting over 500kg of plastic pollution into the environment each year. Therefore, it makes sense that so many facilities ban their use. For many people involved in the airsoft sport, biodegradable BBs are the way to go. In certain locations, they may be the only route to go down. Traditional plastic BBs are bad for the environment. If you are in an area where you can’t sweep for BB pellets when you are done firing, the plastic will be left behind. Standard BB pellets are not going to degrade. In fact, they will remain in place for hundreds of years, often having an adverse impact on the environment. Biodegradable BBs are different. They will break down naturally in the environment. This is because they have been constructed from an organic material. This organic material ensures that when they do break down, they are not going to have an impact on the environment. Well, at least no impact that the environment would not have dealt with naturally. For this reason, many airsoft skirmish fields require the use of biodegradable BBs. It helps to protect the land that they are on. For all intents and purposes, biodegradable BBs are no different to plastic BBs. If you are hit by one, it is going to feel the same as if a standard plastic BB hit you. The firing feel is the same too. 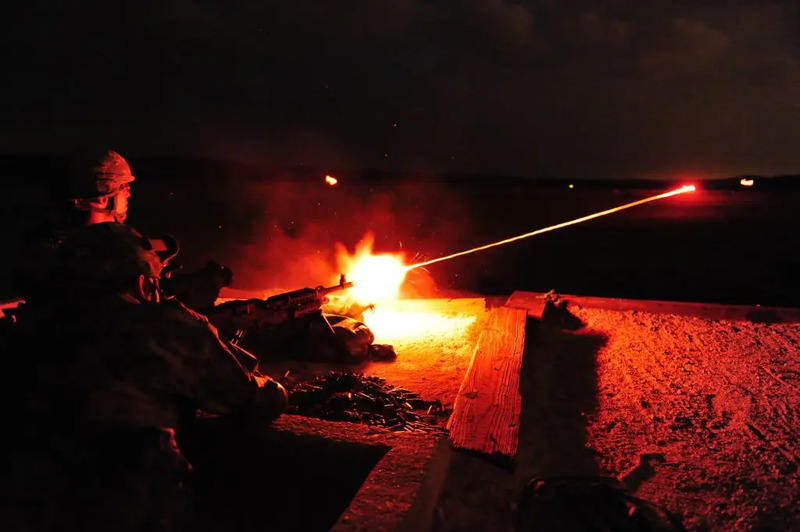 Most people will not even realize that they are firing biodegradable BBs at their target. The accuracy is on par with a standard plastic BB and this makes them ideal for plinking. The only factor that will influence the accuracy of the biodegradable pellet will be the quality of the product that you have purchased. You can purchase your biodegradable BBs in all the common weights, as well as some of the uncommon ones too. 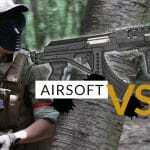 This means that you will almost certainly find one that suits the airsoft gun that you are using. There are a few downsides to using biodegradable BBs. Perhaps the biggest is that they are going to biodegrade. Not quickly, but it won’t be too long either. There will be an expiry date on the product that you have purchased. This is not going to be an issue with standard plastic pellets. Most people will find that their biodegradable pellets lose a bit of their ‘kick’ within a few weeks of opening the product, so make sure that you only open up the BBs on ‘game day’ and use them as quickly as possible after this. In addition to this, due to the slightly different manufacturing process, biodegradable BBs are going to be about 20% more expensive than the plastic BB equivalent. Marker BBs are constructed from silica. They are coated with a black powder. The idea of marker BB pellets is that when they hit the target, they leave a small black mark. 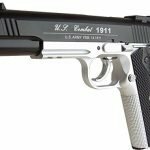 This makes them ideal for plinking. Marker BBs are not often used for skirmishing. In fact, many skirmish locations have actively banned marker BBs because they are dangerous. This is because they are known for their ability to be able to shatter glass and, perhaps more importantly, shatter plastic eyewear. They are also incredibly painful if you are hit by one. They are used for skirmishing for a few reasons. Obviously, the fact that they leave a small black mark is going to be highly beneficial when you are firing at the target. However, marker BBs also have a more even distribution of material on them. This means that they have slightly better velocity and it makes them even more accurate. Because of the nature of the ingredients used in the coating, the marks left are easily removed w/ soap and water and are machine washable. Ideal for use in skirmishes and/or as a training tool. The major downside to marker BBs is that they do have that powder on them. This powder becomes loose in the airsoft gun. Over time, the powder will start to build up and it is likely that it could cause malfunctions of your equipment. Even with regular maintenance of your gun, you may still find that the lifespan of it is drastically reduced. Marker BBs have a slightly different manufacturing process to standard BBs. Expect them to be priced about 20-30% more. Airsoft VS BB Guns. What's the difference?